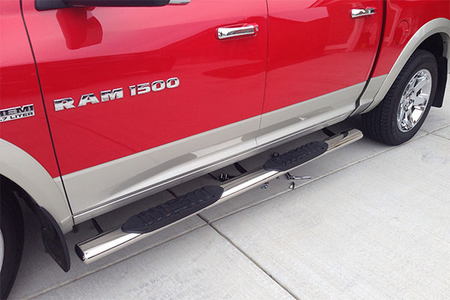 Whether you’re loading your kids, your cargo or your bike, side steps/nerf bars provide a stable place to step and create a tough look for your truck or SUV. The Driver's Seat carries all the major brand nerf bars form names like Westin, Raptor, Trail-FX and Lund in sizes ranging from 3 inch to 6 inch. Finishes available in black, chrome and polished stainless steel. Give us a call or stop by for details and pricing.